This was one of those highly anticipated debut novels that held so much promise, from the author who was perfectly capable of delivering that promise. And wow did she deliver… All I can say is that my lucky streak of great books continues. I don’t even know where to start. The authors writing is superb. Her characters are not all lovable but all are well developed. The plot is complex and original. The world the author created is grim, full of betrayal, intrigue, some backstabbing, and a lot of power struggle. It is incredible how the author tackles preconceived notions, prejudice, hypocrisy, and indoctrination. Nadira, the main character, has to deal with all of them, alone. She is faced with a new reality and has to find her place in it. Not to mention the hardship with dealing with the above mentioned from nearly every single person she meets. Nadira changes and learns the new reality and the old truths. She is an amazingly strong character, physically and mentally. What is even more amazing is how she questions the imposed truths and notions and finds the right path due to her impeccable moral values. There are numerous interesting characters in the story, most of them quite unpleasant, but incredibly realistic. The world, a new and original world of the author’s creation, is harsh and unforgiving to most, especially Nadira and her counterpart Roquelle, who is an amazing character herself. And then the plot, which kept me in suspense from beginning to the end, full of unexpected twists and turns, and just when I thought that the end will bring a temporary resolution and calm anticipation of the next book, the author decided to finish with a shocking cliffhanger. And I love her for it. This is a great new author who introduced a great new series, both of which climbed very high on the list of my favourites. 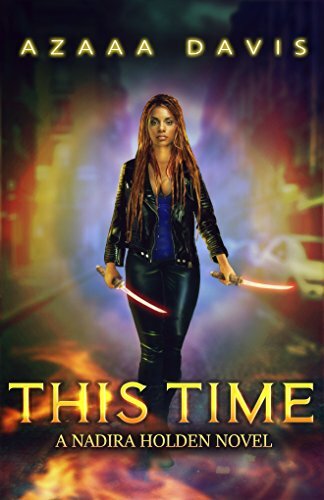 I highly recommend this book to all the lovers of well written urban fantasy. Currently reading, review coming asap. More about Azaa’a Davis and her books is available on Goodreads and the author’s website. Reblogged this on Azaaa Davis, Author.